Specific treatments created exclusively for our guests. Recommended for their slimming and detoxifying properties as well as reducing stress, while promoting relaxation and internal well-being. Nourish the skin with essential oils and vitamins to restore the elasticity and replenish moisture loss due to exposure from the elements. Helps acne skin by balancing sebaceous secretions. Brightens dull complexions to fit your skin care needs. Tahoe Spa is the premier mobile massage provider located in scenic Lake Tahoe. Please browse our site and contact us with your questions or to book a treatment. Gift certificates are available for that special occasion. 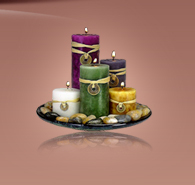 We feature the best in aromatherapy products & treatments. Get set for a tour of the most invigorating, personalized aromatherapy treatments anywhere on the planet. Please browse our site and learn about the unique products we utilize or maybe purchase a gift certificate for that someone special. When your exhausted from skiing all day , tired from the stress of travel or just looking for a diversion while visiting Lake Tahoe you simply must experience the care and tenderness that has made our staff known worldwide. Our pamper packages are second to none. Experience the numerous benefits from the magical essential oils.